Jae is a mother of two, a community advocate, an avid volleyball player and a fierce competitor. Since 1994, her experience in real estate and mortgage planning has helped thousands of families achieve their real estate goals. When not in the office you can find Jae volunteering to strengthen her community through the Westside Neighborhood Council, Westwood Charter School and Emerson Community Charter. Learn more about Jae. Jae works really hard to make things easier for her clients. Leveraging her love of numbers and caretaking nature, Jae found that she could help provide her clients with an extremely competitive level of service with a compassionate and personal touch. She credits her ability to thrive in the real estate industry to the physical stamina and mental toughness she has developed as a competitive athlete. 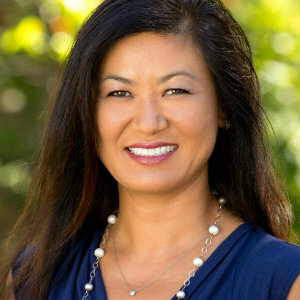 Jae started her real estate career in the mortgage business at a firm in Beverly Hills in 1994. She continued to develop herself and her industry knowledge by earning her broker’s license and becoming a Certified Mortgage Planner and now is a Certified Probate Specialist and Senior Real Estate Specialist designations. In her over twenty years in the business, Jae has already helped over thousands families reach their goals of selling and buying their homes. A pit bull negotiator, Jae is driven, focused and disciplined but with a compassion born of experience that helps ease clients through the uncertainty that volatile market conditions can create. Her negotiating skills alone are worth every penny she gets paid. She has the experience to maneuver through these ever-changing markets with each client’s short and long-term real estate and financial goals in mind. Jae lives in Westwood with her husband, Larry and their two sons Ryan and Jake who share her love of all things Los Angeles. Her hobbies include beach volleyball, golf, and hiking. Jae Jae not only enjoys physical activity; she is also musically inclined and grew up playing the bass, drums, violin, and piano for a well-balanced appreciation of all the wonderful gifts that life has to offer.